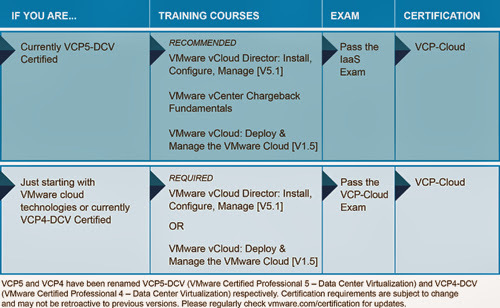 There are two paths to earning your VCP-Cloud certification. 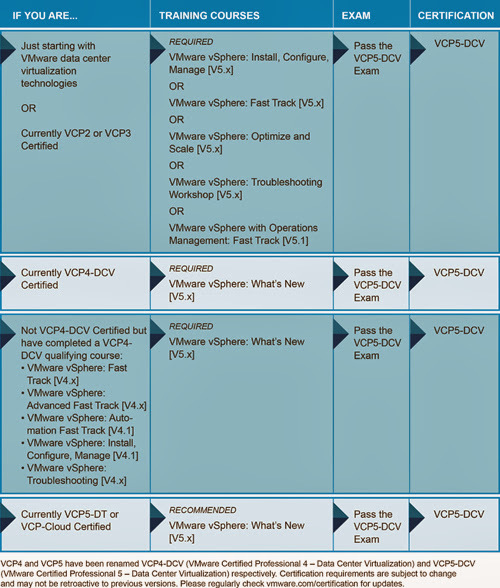 These courses can help you prepare for the IaaS exam, but they are not required if you are following this path to earn your VCP-Cloud certification. Gain hands-on experience with VMware vSphere 5.x. There is really a great tool made available by VMware for the professionals, who want to explore their skills in the Cloud Computing. 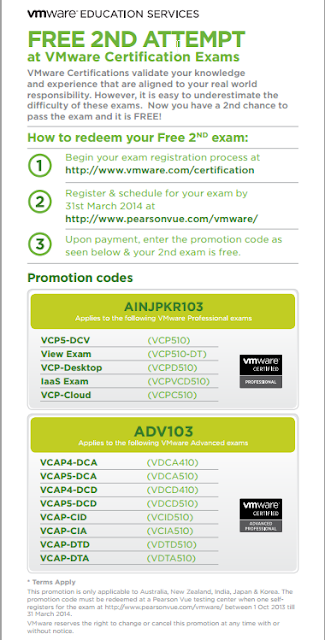 There is free e-learning (3 Hours) available, you just need to create an account on vmware portal (if don't have one). You can use the link below and then click on add to my enrollment button, after that login using your account on vmware portal. The Free VMware Certified Associate course on Cloud Fundamentals will provide you with a fundamental understanding of VMware’s Cloud products, including the business challenges those products are intended to solve. After going through this e-learning session, you can take test for VCA-Cloud by sitting on your own system only. After this if you want to go for Professional level (VCP-Cloud) then you can go for classroom training for VMware vCloud Director. VMware Certified Associate certification ! 50% free voucher till 31 Jan 2014 ! Hurry UP !